We own a Nissan Altima and its the best car decision we have ever made. Its great on gas, super safe and looks really cool! I even got to pick the color I wanted, thanks hubby! 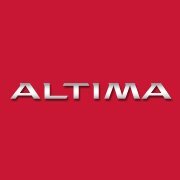 We did months of research and test drives before selecting the Altima and I do recommend test driving one. They are fun to drive. One of the chosen Facebook fans, Paul, told Nissan if he was picked to test-drive the All-New 2013 Altima before anyone else he would propose to his girlfriend Jane at the test track. The video shows just how he did that. Nissan not only thought it was a great idea, they thought they would help him out. Nissan New York are also excited to have a test-drive of Altima. I hope customers are as well.